Brooke Curley Photo/Gila Valley Central: Jon Stewart recieves the Pride of Safford award (left), presented by Safford city Councilman Chris Taylor. 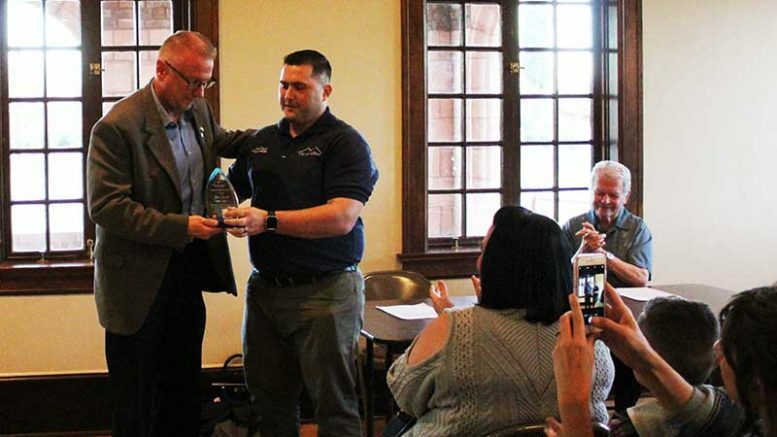 SAFFORD- As a recognition within the community for his service, Jon Stewart received the Pride of Safford Award Thursday night. Stewart told Gila Valley Central that he was humbled to receive the award, and wanted to stress the fact that he doesn’t do what he does in the hopes of winning recognition or awards. 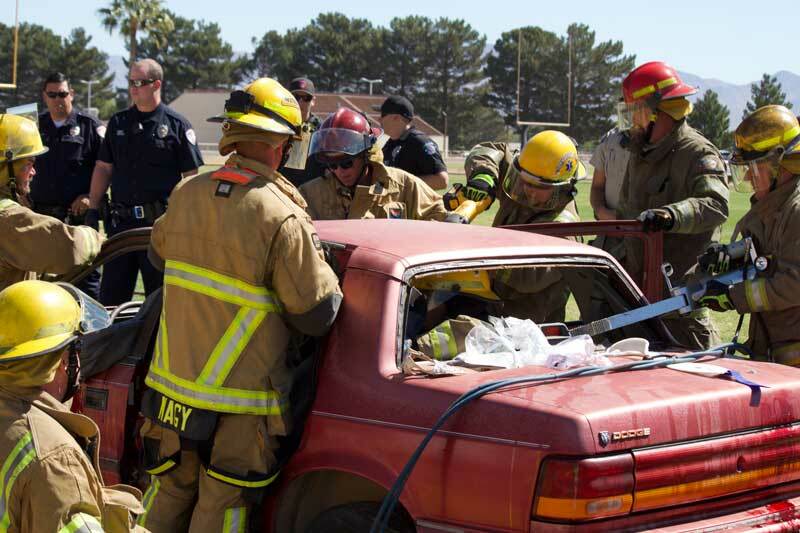 Gila Valley Central covered the 2017 Substance Abuse Coalition mock DUI crash. To read the article, click here. Jon Johnson Photo/Gila Valley Central: Firefighters work on removing the vehicle’s hood for the 2017 mock DUI performance.